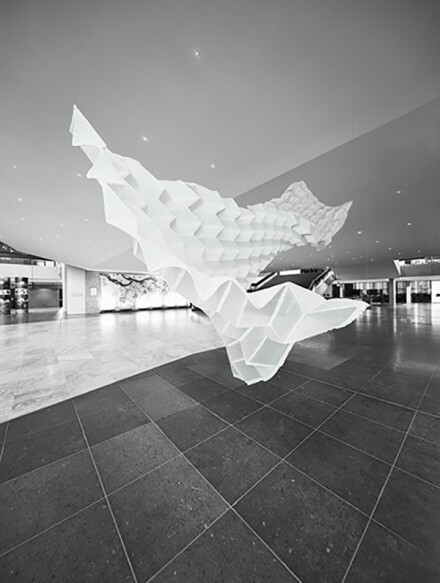 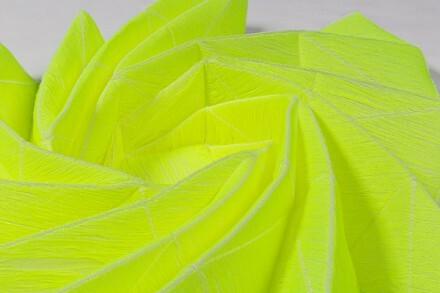 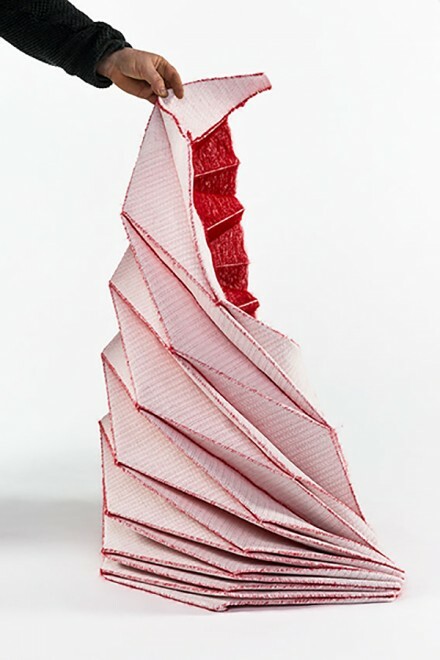 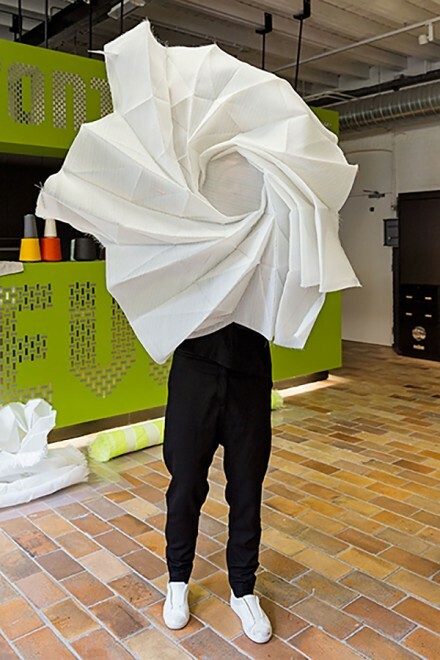 As part of the exhibition Co-Creation at the Dutch Textile Museum Tilburg, we launch Archi Folds, an innovative series of textile structures inspired by Japanese origami folding techniques. 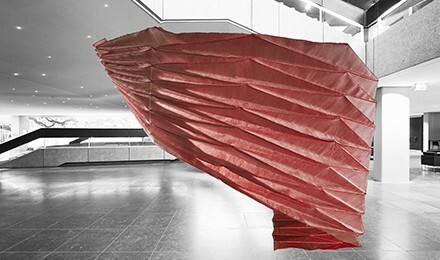 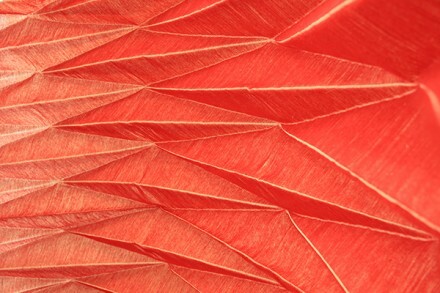 Archi Folds is the result of extensive and ongoing research commissioned by the TextileLab, and translates handmade paper-folding into digital weaving techniques to create architectural interventions representing an absolute breakthrough in the digitalisations and materialisation of folded structures. 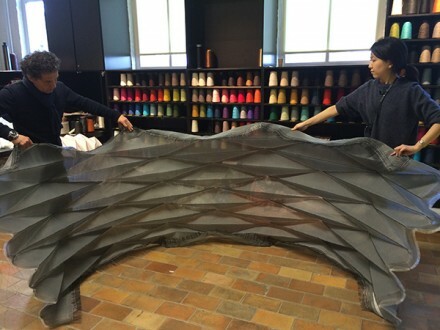 After much research into traditional and complex mathematical folding techniques and consultations with structural folding Prof. T. Tachi from Tokyo University, we set out to create our own folded models suitable for architectural applications. 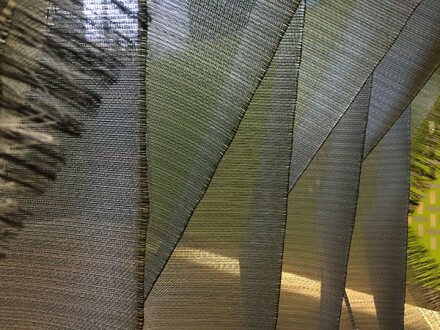 By experimenting with a range of different materials including paper, polyester, mohair and abaca, a number of structures were created that can be used as space creators or dividing screens, strong enough to be used on an architectural scale and incorporating various smart properties that allow them to adapt to their surroundings (such as acoustic, heat-sensitive, light-sensitive, etc.). 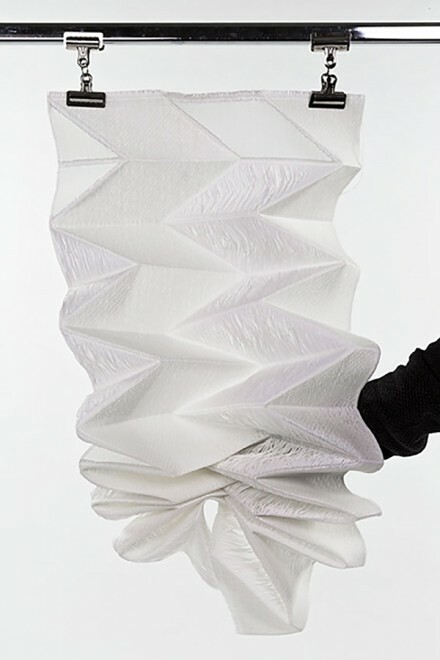 By using these different materials, many different folded surface possibilities can be created including hard, technical, or soft and tactile. 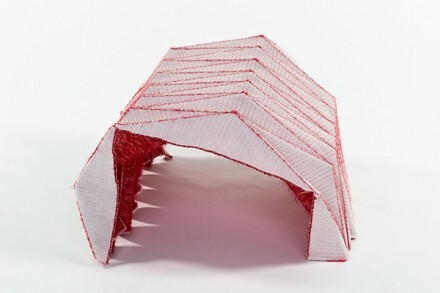 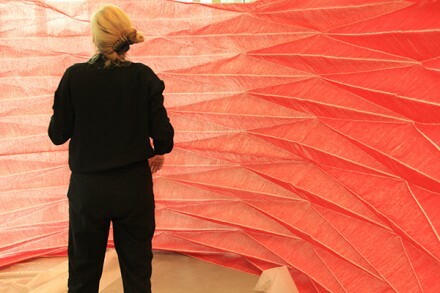 The woven structures can also be folded into a myriad of different shapes thanks to their structural flexibility, allowing two identical products to be installed in completely unique manners, re-used in different shapes/sizes, installed permanently or temporarily, and easily transported or moved thanks to their compact fold. 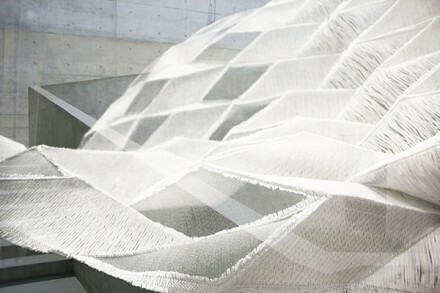 Between these unique characteristics and the techniques used, this fascinating research offers a wealth of new possibilities for countless architectural issues. 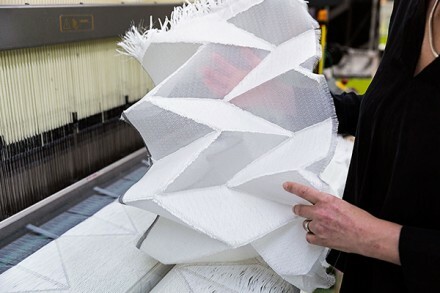 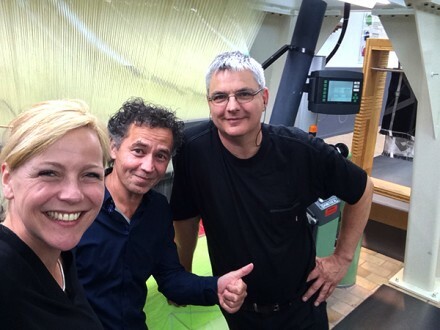 Working closely together with the programming experts & technical weavers from the Textile Lab, we uncover the possibilities of the weaving machines and pushes them to their limits.